By now you probably know that we do website design and graphic design but that doesn’t really tell you much of our actual story. “The skinny on starting and sustaining a small business” gives you a window into the path that brought us here. I’m Steve, and I’m the director of Digital Lamb. We’re a website design company based in the Adelaide CBD. We offer a unique range of multimedia and graphic design services to deliver outstanding, responsive and innovative websites to our clients. If you want to know more about our specific services, check out our services page. That’s what we do, but it doesn’t tell you too much about who we are or how we got here. When I was thinking of what to write for this page, I decided there was a way to tell you about our company and our team, and pass on our experience to other small businesses who are trying to set themselves up for long term success. We’ve been in your shoes, so maybe we can help you find your feet. I’ll start with our logo. 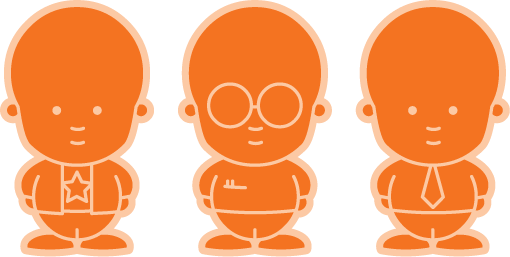 No doubt you’ve seen it already—the little dudes that look a bit like triplets? They’re our mascots, and they actually mean quite a bit to us and our company philosophy. They’re really good at what they do. They have an entrepreneurial streak. It’s rare to find someone who’s strong in all three of these areas. However, if you want your business to survive you need to be that triple threat. This doesn’t mean that if you’re an entrepreneur with undeveloped business skills, you’ll automatically fail. It just means you need to skill up in your weaker areas. I had to do this in order for my company to survive too. 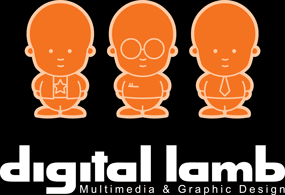 Digital Lamb has been in operation for over 15 years now, and I think the growth and longevity of our business speaks for this three-pronged approach. This concept of wearing three different ‘hats’ (of entrepreneur, technician and businessperson) comes from Michael Gerber and his book, ‘The E-Myth’. If you’re a small business owner, I recommend you get a copy of this book. Read it and see how it fits your specific business. So basically, our three mascots are a reminder for me and my team to balance those three roles so that our business continues to thrive. But what does this say ‘about us’? Well, it should tell you that we’re here for the long run. 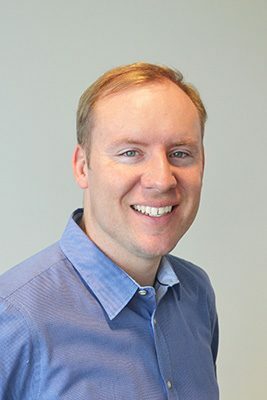 I started Digital Lamb when I was 19 years old, and I plan to work at this business until I retire. It also should say that we’re here to help small businesses, like yours. When I started this company I was young, carefree and a bit naive; I thought I could take on the business world by myself. Though I had the skills, I didn’t have the benefit of experience. Now that I have over 15 years of the stuff, I want to use it to help other small businesses reach their goals for success. It took a lot of hard work to get Digital Lamb to where it is today, and I’m proud of what we’ve achieved as a team. We’ve been privileged to work on a huge variety of projects and with a wide range of clients from all kinds of industries, including some big brand names like Philips, Aspect and Viasys Healthcare (facilitated through the Philadelphia-based company Moberg Medical). We learn something new from every project, and our business grows as we do. So that’s what you need to know about us. We love our work; we’re good at what we do and we’re focussed on helping our clients. We’ll be doing more of the same in the future, and we’d welcome you to be a part of it. To talk to our team about the future of your business, all you need to do is make contact. We’d love to chat with you.